Annapurna Circuit Trail opened for foreigners only since 1977 AD. In terms of scenery, in this trail, you can experience a diversified landscape and mountain views. The trail begins from the elevation less than 1000 meters and goes up to the optimum height of 5,416 m. The highest point of the Annapurna Circuit is the Thorong La. Thorong La is also considered as the longest mountain pass in the world. It’s a dream of all trekkers who goes for this route is reaching on the top of the pass and enjoy the surrounding breathtaking panorama. Annapurna Circuit Trek can be done within a various period. 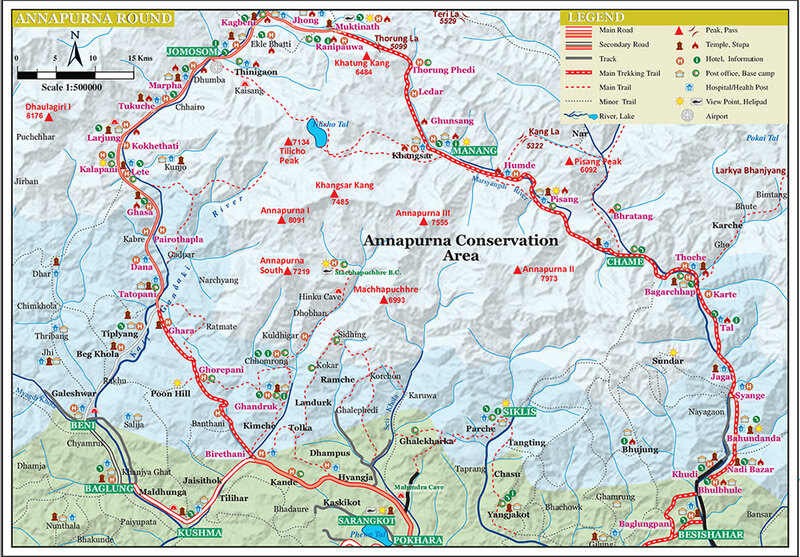 Here, we present Annapurna Circuit Trek with 14 days, 16 days and 17 days. Day 08: Trekking from Yak kharka to Throung Phedi (4441m/14570ft). Walking 6 hours. O/n in Mountain Lodge.